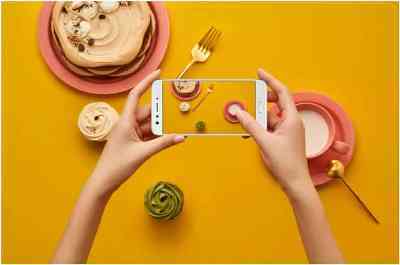 OPPO is the smart camera phone brand, which has launched the latest smart phone in the market with ‘group selfie’ trend with the launch of another selfie expert, F3 and this smart phone is provided at the Rs.34,899 for mid range market. The handset, F3 is the second smart phone in this line of dual selfie camera, Selfie expert, which target the group selfie after being launched in the market with F3 plus. This smart phone is featured with dual selfie camera, with 16 MP camera for the individual selfies and wide angle lens for the group selfie. The F3 first sale of the handset is started from 13 May and pre-orders of the handset are started from 05 May till 12 May and the company will have the lucky drawn for the ore-order entries. The eight lucky draw winners will get the chance of the final of the ICC Champions Trophy live in London. 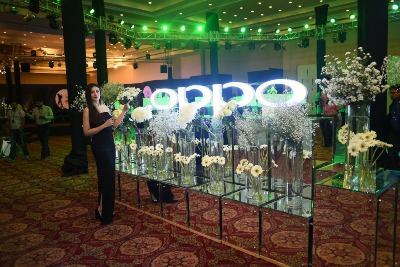 At the company, OPPO , the customers have been the top priority and they have introduced their innovative products with the groundbreaking technology and they have promised to their clients to meet their requirements. The clients can support and give feedback to get the opportunity to deliver and they promise to offer the ultimate smart phone to allow the clients to create the memories from their dual selfie camera, which is worth capturing. 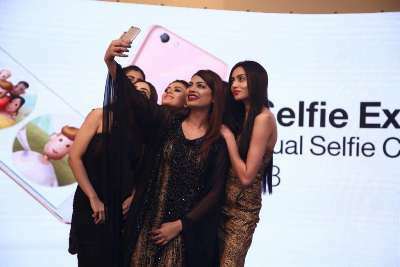 The company has launched the dual selfie camera, F3 to start the new ‘Group selfie’ trend to reinforce the position as the selfie expert. The handset gives the larger field of view and twice larger view than normal selfie camera. The handset has the 6P lens, which maintains the high level professional image quality with minimal image distortion and it ensure to click perfect group selfies. When you want to get the individual selfie, you need to switch to front camera to utilize the 16 MP resolution with 1/3 inch sensor and larger f/2.0 aperture. It is added with high dynamic range, minimized noise and vivid depth. When you compare it with the previous F1s, the company has made some improvements and optimizes it to its performance. It is added with strongly lit background and selfie will not be over exposed and the image become real. You need to shoot at night or in place having poor light, the nose granularity is reduced significantly to make the selfie clear and vivid. The smart phone has the built-in smart facial recognition and F3will inform the users to switch to the group selfie mode if there are more than three people in the frame. The users need to make the group selfie easily and they do not need to compromise over the image stability when they take selfie with one hand. The handset, OPPO, F3 is added with 13 MP rear camera with 1/3 inch sensor. It can enhance the light sensitivity to make the wonderful nighttime performance. It has PDAF technology to make snappy and fluid shooting experience. With the moving objects, the handset, F3 focuses without any problem and it can capture great quality shorts at the key moments. The handset has he pioneering beautification editing software , Beautify 4.0 is provided in both the handsets, two selfie front cameras and rear cameras,. 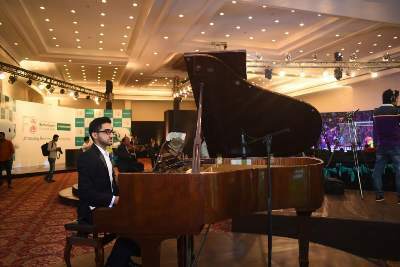 It will also allow the users to select from different beautification modes and ensure images are made with favorable effects. The smart phone, F3 is added with octa-core processor, 64 GB ROM and 4 GB RAM with the ColorOS 3.0, with the seamless and snappy performance. The handset is embedded with triple-slot card tray to allow two nano-SIM cards and microSD card to work simultaneously. The handset, F3 gets the higher energy density 3200 mAh battery to get long battery time and it lasted for over 15 hours with real use of simulation test. It can save the inconvenience of getting heavy power bank or look for char4gers when you are on trip. It is also added with privacy protection and security and handset, F3 uses the advanced solid-state fingerprint reader to have slight notch to unlock the device. It is also equipped with hydrophobic membrane the fingerprint reader has the enhanced success rate when the fingers of the users are moist. This smart phone has the lighter and thinner 5.5 inch body and F3 has contributed to the wonderful and comfortable grip. The handset has the smooth texture with metal back panel to repel the dust and every detail of handset, F3 is added with the impression of mercurial grace and beauty. It is added with in-cell technology and FHD in-cell display of F3 is deceased to ¼ of normal screen thickness, it gives the whole screen the high rate of penetration and the bright and clear image.